Last week a near-record 1,500 physicians, sonographers, scientists, students, and educators from across the country and around the world gathered in New York City to network, share, and learn. It was, by all accounts, one of the biggest and best AIUM Conventions yet! What it made so great? A variety of educational opportunities covering a wide range of topics addressing at least 19 different specialties is just the start. More interaction across disciplines to share techniques, more hands-on learning labs, new product releases, and collaborative learning events added to the excitement and collegiality. New Offerings—As if putting on the AIUM Convention weren’t enough, we decided to make a host of changes. We doubled the number of hands-on learning labs (most sold out), we added the more intimate Meet-the-Professor sessions (again, most sold out), we enhanced networking by adding exhibit hall receptions, we brought back the mobile app to make navigating the event easier, and we invited our corporate partners to host Industry Symposia, which included education, networking, and food. Whew! SonoSlam—In its third year, a record number of medical schools (21) sent teams to compete for the coveted Peter Arger Cup. This year’s winning team, F.A.S.T. and Furious, is from the University of Connecticut. They competed last year and had so much fun they returned and were triumphant! Save the date for next year—April 6. Big thanks to headline sponsor CoapTech. Global Plenary—AIUM President Brian Coley, MD, hosted the Plenary session that featured a lecture on global health from John Lawrence, MD, President of the Board of Directors for Doctors Without Borders-USA. This was followed by Roberto Romero, MD DMedSci, who presented the William J. Fry Memorial Lecture on ultrasound imaging and computational methods to improve the diagnosis and care of pregnant women and their unborn children. The entire Plenary Session is available on the AIUM Facebook Page. Social Media—This year was the most active social media convention ever for the AIUM. From streaming live videos on Facebook to more than 754 individuals participating and sharing on Twitter (a 50% increase over last year), the social media scene was active and engaging. Fun Activities—Not only was #AIUM18 educational, it was also fun. This year attendees could participate in a morning jog through Central Park; do a scavenger hunt with the AIUM app (Congrats to Offir Ben-David, RDMS, from Stamford, CT, and Jefferson Svengsouk, MD, MBA, RDMS, from Rochester, NY, for winning prizes by completing the scavenger hunt); network during 3 different AIUM receptions and the new Industry Symposia; and win prizes at the AIUM booth (Congrats to Jenna Rothblat who won a free 2019 AIUM Convention registration). Sold-out Exhibit Hall—This year’s exhibit hall was the most exciting and active it has ever been. At least 3 companies unveiled new ultrasound machines and several others shared their insights with live video feeds. Combine that with networking receptions and New York street fare at lunchtime, and the exhibit hall was always the place to be. First place, Basic Science: Construction and Characterization of an Economical PVDF Membrane Hydrophone for Medical Ultrasound, presented by Yunbo Liu, PhD, from the FDA, Silver Spring, MD. First place, Education: Investigation into the Role of Novel Anthropomorphic Breast Ultrasound Phantoms in Radiology Resident Education, presented by Donald Tradup, RDMS, RT, from Mayo Clinic-Department of Radiology, University of Pittsburgh Medical Center-Department of Radiology, Dublin Institute of Technology, Ireland. First place, Clinical Science: Sonography of Pediatric Superficial Lumps and Bumps: Illustrative Examples from Head to Toe presented by Anmol Bansal, MD, Mount Sinai Hospital, Icahn School of Medicine. Second place, Basic Science: Strain Rate Imaging for Visualization of Mechanical Contraction, presented by Martin V. Andersen, MS, from Duke University. Second place, Education: Sonography in Internal Medicine, Baseline Assessment (MGH SIMBA Study), presented by Tommy Heyne, MD, MSt, Massachusetts General Hospital-Department of Internal Medicine and Department of Emergency Medicine. Second place, Clinical Science: Serial Cervical Consistency Index Measurements and Prediction of Preterm Birth < 34 Weeks in Twin Pregnancies, presented by Vasilica Stratulat, CRGS, ARDMS, MD, Sunnybrook Health Sciences. Up and Comers—In addition to our national awards and our eposter winners, the AIUM also recognizes its New Investigators, which this year were sponsored by Canon. View the full program online and, to keep on top of all things #AIUM18, download the eventScribe app now from the Apple store or Google Play store and search for AIUM 2018. Before and during the convention, use the app to plan your schedule, read about sessions, take notes, learn about exhibitors, and engage with other attendees. Learn all about the app by checking out these videos on using the app: Quick Navigation Guide, Browsing Style, Taking and Sending Notes, E-mailed Notes, Messages, and Events. Travel to the convention via plane, train, or automobile. The hotel, New York Hilton Midtown, is located on Avenue of the Americas (6th Ave) between West 53rd and West 54th Streets. To get to the hotel from 1 of the 3 nearby airports, or Grand Central Station, Penn Station, or Port Authority, which are all within approximately 20 minutes of the hotel, you can take a taxi or rideshare service. To get around the city, walk or take the subway, a taxi, or a rideshare. Stay in the know by following the AIUM and the Convention on Twitter (#AIUM18), Instagram (AIUMultrasound), vimeo, LinkedIn, and Facebook as we share news and events, as well as photos and videos. Two preconvention postgraduate courses will be offered on Saturday, March 24. Additional fees apply. We doubled the number of hands-on Learning Labs. Our Learning Labs provide an up-close and personal learning experience while earning CME credit. Learn from leading ultrasound experts in small group settings in Meet-the-Professor sessions. There are a dozen Meet-the-Professor events to choose from. Each comes with lunch. Separate registration fee is required. If you haven’t registered, act quickly because more than half the sessions are sold out. The AIUM has added 2 networking receptions to the Convention schedule. Plan to meet up with colleagues, explore the latest technology, and ask questions you may have during these cocktail and hors-d’oeuvre events on the Exhibit Hall floor. The AIUM received a record number of research abstracts for the 2018 AIUM Convention. This research will be shared by AIUM’s new investigators, abstract presenters, and e-poster submitters throughout the event. Community and Interest Group Meetings: Meet with other ultrasound professionals who share your interests, plan future AIUM educational programs, and discuss the issues in your specialty. Start your day off with some exercise: join your colleagues and AIUM staff each morning from 6:30–7:15 am for a 3-mile run/walk around New York City’s Central Park. You’ll meet up in the Main Lobby at 6:30. Join the Scavenger Hunt at the convention: download the eventScribe app (search AIUM18) to get started on your chance to win one of several prizes that will be awarded upon completion of the game. A grand prize winner will be announced Tuesday afternoon. CME Earn up to 6.5 CME credits during the Preconvention and 29.5 CME credits during the Convention. ARRT Earn up to 6.5 ARRT credits during the Preconvention and 29.5 ARRT credits during the Convention. SAMs The American Board of Radiology (ABR) has approved 7 Self-Assessment Modules (SAMs) activities from our upcoming 2018 Convention. UGRA One session at the Preconvention and 8 sessions at the Convention have been added to the UGRA Portfolio program’s course offerings. Please note that although the AIUM provides CME certificates to those who have participated in an AIUM educational activity, the AIUM does not submit credits to regulating bodies or certifying organizations on behalf of the participant. It is the participant’s responsibility to submit proof of credits on his or her own behalf. When you’re not attending the convention, check out some of what New York has to offer. Here is a short list of just a small portion of what is out there, including museums, parks, iconic buildings, and more. And, don’t forget to check out minus5° in the hotel’s lobby, where everything in the bar is made of ice, including the glasses. Last week, physicians, sonographers, scientists, and educators from across the country and around the world left New York City and the AIUM Annual Convention to return home. They left with new contacts, tips, tricks, techniques, research, technology, and information that will help them improve patient care. If you were unable to attend, or if you want to relive another amazing AIUM Annual Convention, here are the highlights as well as a summary of attendee feedback. SonoSlam— In its inaugural year, this student competition had 16 teams sign up to compete for the Peter Arger Cup. This year’s winning team, “Baby Don’t Hertz Me,” hails from The Ohio State University. Plans are already underway to increase this event next year. Sold-out Exhibit Hall—Spread over two floors, this year’s exhibit hall featured a wide variety of companies that collectively addressed nearly every ultrasound need. This year several exhibitors offered great deals and amazing drawings. Ultrasound for Every Specialty—Attendees raved about the mix of specialty sessions throughout the Annual Convention. In fact, this year the content included sessions from 18 different ultrasound specialties. Social Media—This year was by far the most active year for #AIUM16 on social media. On Twitter alone there were double the number of impressions over last year, with nearly 500 people participating. Second place: Sonographic Evaluation of Ligaments and Tendons of the Hands by Jonelle M. Thomas, Cristy Gustas, and Dylan Simmons. Third place: Can You Give Me a Hand? 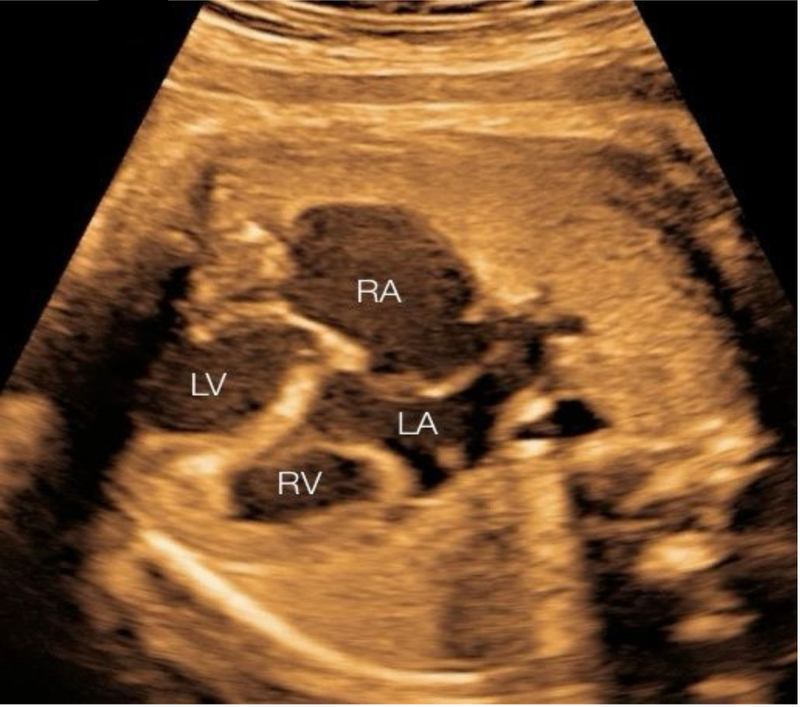 Diagnosing and Understanding the Clinical Significance of Fetal Hand Anomalies in Obstetric Ultrasound by Karen Oh, Thomas Gibson, Kathryn Snyder, Ryan Meek, and Roya Sohaey. Honorable Mention: The Neck is More than the Thyroid Alone: 3-D Ultrasound of Cervical Lymph Nodes, Salivary, and Parathyroid Glands, Palpable/Visible Abnormalities by Susan Judith Frank, David Gutman, and Tova Koenigsberg. Up and Comers—AIUM recognized 4 outstanding papers in its New Investigator Program. We know that everyone has their own highlights from this event. If you want to share yours, please do so on Twitter @AIUM_Ultrasound. the feedback attendees have shared with the AIUM. 94% said overall the Convention was Good or Excellent. This was the same as the past 2 years. 56% of attendees said the registration and pre-registration process was Good or Excellent. Nearly 90% of attendees said they would make at least some modification to how they practice ultrasound as a result of what they learned at the AIUM Annual Convention. This was up from the 70% that said the same last year. 96% of attendees said they would recommend the AIUM Annual Convention to a colleague. Again, this was an increase over last year’s 91%. More than 80% of attendees said it was highly likely they would attend another AIUM Annual Convention. Elevators—Some floors experienced long wait times for elevators. Several attendees expressed frustration at having to make choices based on how long the elevator would take. We completely understand and all hotel-related comments will be shared with the hotel staff. Cost—This continues to be an issue and is one that the AIUM Executive Committee is taking very seriously. The AIUM is exploring a number of models and programs to help reduce the cost of attending this event. Overlap of sessions—Many attendees shared that sessions they wanted to attend were overlapping. With such a diverse offering of sessions, this is bound to happen to some extent. This year, the AIUM did record all the lectures. We will be making them some of them available through the online communities and other available for CME credit. These videos will be released over the next couple of months. Technological issues—Some presentations experienced technical difficulties. Much of this was related to the fact that our service provider was operating a newer version of software than most of our presenters were using. In the future, the AIUM will share that information with presenters in an effort to reduce these issues. The great thing about the Annual Convention is that we all learn. Attendees learn tips, techniques and resources that help them succeed and the AIUM learns how it can make this event even better. While the 2016 Annual Convention is over, we are already hard at work on the 2017 Annual Convention that will be held March 25-29 in Orlando. Did you attend this year’s event? If so, share your thoughts and feedback. Going next year? Let us know what you want to learn! Comment below or let us know on Twitter: @AIUM_Ultrasound. Peter Magnuson is AIUM’s Director of Communications and Member Services. In late 2014, I attended the AIUM MSK ultrasound course that was held at the USOC facilities in Colorado Springs. Why, you might ask? Well, here are four reasons I did. Focus—I do a lot of MSK ultrasound (I have my RMSK and my practice is AIUM accredited) but I do not see a lot of hand and wrist. Since the focus was going to be on upper extremity I felt that this would be a chance to get a good review of hand, wrist and elbow. Killer faculty—Jay Smith, Lev Nazarian, Tony Bouffard and Jon Jacobson were all on the schedule. Combine them with a limited number of attendees and I knew I would get to interact with them on a more personal level. Great format—The way the content was structured really appealed to me. I like how we had a lecture, followed immediately by a live scan and then the ability to scan patients. It was excellent and really brought the lecture material right into practice. Location and price—I had never been to Colorado Springs, much less the Olympic training center. And when I looked at how focused the course was as well as the faculty, I felt the price was very reasonable—especially with the option of staying on site. For me, the thing that stood out most at the course was getting an appreciation for scanning the scapholunate ligament (SLL). My scanning preceptor was very adept at showing us how to visualize the ligament and how to easily locate it. When I went back to the office and actually had an SLL injection, I was able to do it effectively and get my patient good relief. I hope that if or when the AIUM does this course again, or another MSK course, they keep the number of participants limited and the topics varied. At some point, I think the course could become stratified so that whether you are at a beginner, intermediate or advanced level, you can participate and learn. Personally I’d like to see a course focusing on the hip and spine with injections. All in all, given the hosts, the course faculty, the limited number of attendees and topic scope, the price and location, this was one of the best MSK ultrasound courses that I’ve attended. What’s the best course you have attended? How can AIUM make its courses better? Have you heard about AIUM’s newest MSK Course? Comment below or let us know on Twitter: @AIUM_Ultrasound. Amadeus Mason, MD, is Assistant Professor of Orthopaedic Surgery and Family Medicine at Emory Sports Medicine Center in Atlanta. Every year I look forward to February for a number of reasons. One is that I know spring in North Carolina is just around the corner. Another is that I know I will be escaping to Florida for a long weekend to attend my favorite ultrasound course, the AIUM Advanced Ultrasound Seminar: OB/GYN. Spring in North Carolina from http://www.visitnc.com. I am a general OB/GYN and have been in practice in Durham, North Carolina, since 1998. I chose my current position because of its location, my family, and the chance to continue teaching OB/GYN residents. In my early years as a resident educator, it was easy to teach the residents. But as time has passed and I have gotten busier, it seems that the residents have gotten smarter. They know about changes in protocols, new medications, new technology, and more. Therefore it is important for me to continue to educate myself through reading, listening, and attending courses. I have always had an interest in ultrasound and received a great introduction to scanning as a resident at the Medial University of South Carolina in Charleston. My program directors put a strong emphasis on using ultrasound as a tool for caring for OB and GYN patients. So I probably have an interest in ultrasound beyond most generalists and I have enjoyed coming to the AIUM course since 1999. One of the great things about the course is that it has adapted so well with the times. I remember the first 3D and 4D imaging that this course covered and how many questions people had about how they would be used. I remember discussions about whether an anatomy scan would be worthwhile and if insurance carriers would pay for it. In the early years of the course there would be many long lectures about the frequency of X, the p values of certain markers, the RR of this thing or that thing, unreadable tables and presentations, and more. Recently, however, the course has become more evidence-based and clinically relevant for all participants. This has made the course even more worthwhile and shows that the enthusiastic and collegial faculty have dedicated their lives to medical ultrasound. As we begin to move into fall and then winter, I start to long for February—for obvious reasons. I hope to see you in Florida. Is there anything you have attended for more than a decade? What made it special? Have questions about the AIUM OB Course? Comment below or let us know on Twitter: @AIUM_Ultrasound. 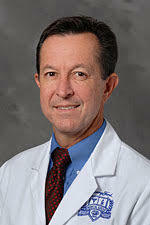 Frank Frenduto, M.D., is a managing partner and a board member for the Women’s Health Alliance in Durham, NC. His special interests are high-risk pregnancies, laparoscopic surgery, and gynecologic ultrasound. The 2015 AIUM Annual Convention, hosting WFUMB, is less than a week away. Although it was about six months ago that we opened registration, that time just cruised by much too quickly. We here at the AIUM office just said goodbye to the truck full of convention goodies. Next time we see all that stuff, we will be in Orlando. For those of you meeting us there, here are a few things you should know. If you haven’t started planning, what are you waiting for? The Program book and official proceedings are online now so get busy. We know that AIUM Convention attendees don’t go hungry so we aren’t really worried about that. However, you will need to find a place for dinner. There are numerous places within walking distance of the hotel. Check them all out here. 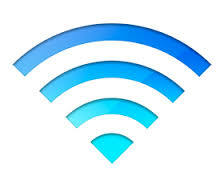 There will be complimentary internet access on the exhibit hall floor in the Dolphin Resort. In addition, if you are staying at the Dolphin, your resort fee includes in-room internet access as well as bottled water. So stay hydrated while you post all those cool photos and useful tips! Transportation can sometimes be a hassle, so it’s better to plan ahead. There are many options to get to and from the Orlando Airport and the Dolphin Resort and the choices depend on your budget and timing. Check out all the options here. If you are staying at the Animal Kingdom Lodge you do have access to Magical Express, but you will need to make a reservation. 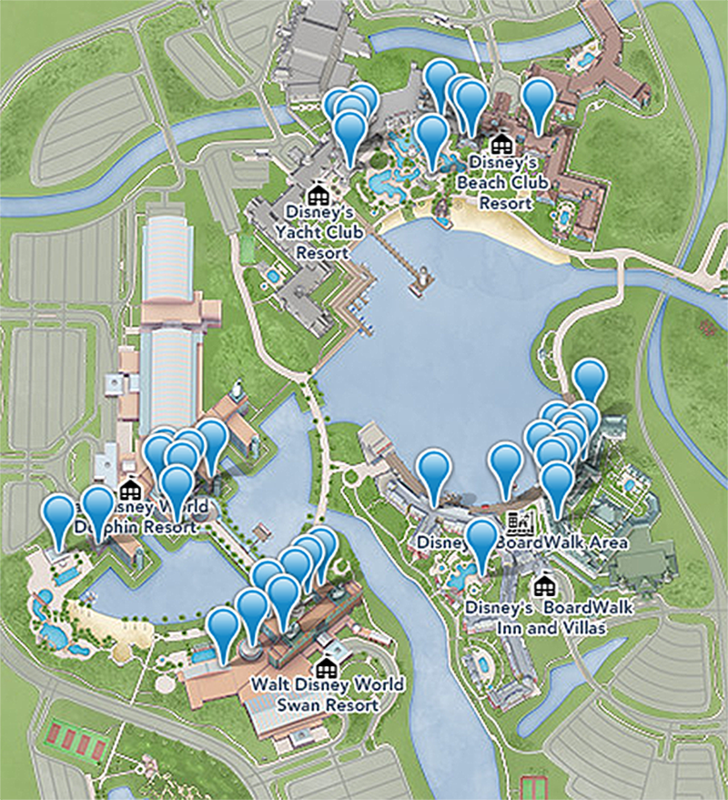 During the Convention there will be daily transportation between the Animal Kingdom and the Dolphin Resort. Of course we want you to complete the evaluation forms, but that’s not what we are talking about here. 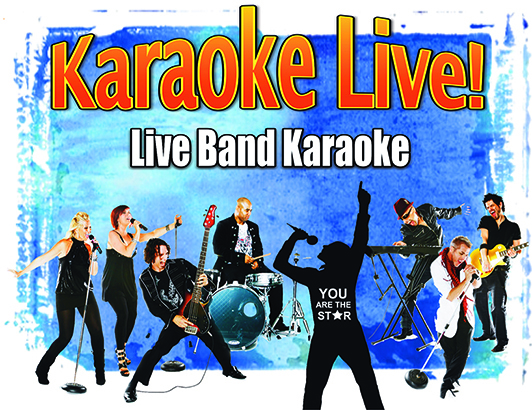 We are talking about the Dinner and Karaoke networking event. If you still need a ticket you can purchase them on site in the registration area. 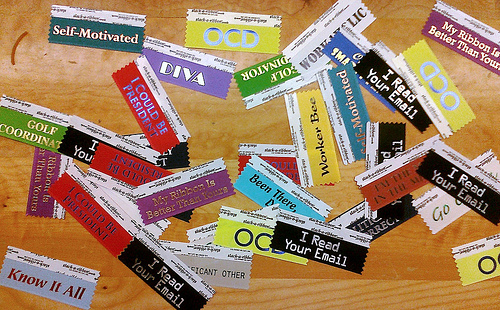 You might notice that getting your Convention ribbons will be a bit different this year. While some might be in your materials, the AIUM has created a ribbon station where you can select those that pertain to you. There are a ton of sessions and heaps of learning that go on at an AIUM Convention. But this year don’t miss the Opening Plenary Session where Scott Dulchavsky, MD, PhD, will discuss the unique challenges and solutions associated with performing medical procedures in space! One of the most popular aspects of the AIUM Convention is the case of the day challenge. They are definitely back, but instead of jotting your diagnosis on paper (which frankly can be difficult to read), this year it will all be handled via text. All the instructions will be on site, but watch your autocorrect! We can’t wait to see you in Orlando! Don’t forget to tag and share #AIUM15 on all your social media platforms.